'Shellrose Hybrids' (Pride of Charlotte x L. leucanthum var. chloraster) Bred, raised, and named, John Shaver, formerly Newberg, Oregon 1956. Introduced by Edgar Cline 1956. When John Shaver moved his catalog business to Port Townsend, this was one of the early lilies that we grew for him. 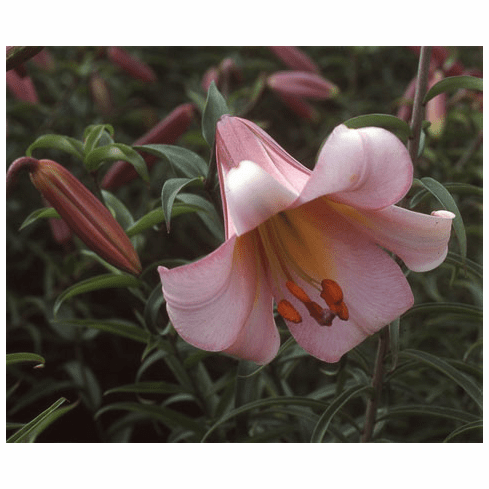 As a matter of its longevity, Bob was 6 years old when this lily was selected. Photo B & D Lilies.